AnnMarie was stuck in skinny-fat-ville and wanted to have a body like the fitness models she saw in magazines. Raed on to see how all her hard work paid off and got her onstage. I got started because I was gaining weight. I decided to join the my mom's gym and started reading up more about fitness. I did a ton of cardio at first, thinking this is how I am going to get fit. Basically I was "skinny fat." I really liked the look of the girls in oxygen magazine and I realized I wanted that. Monica Brant was a huge inspiration. I attended the Arnold classic and felt motivated, but I was pregnant at the time. 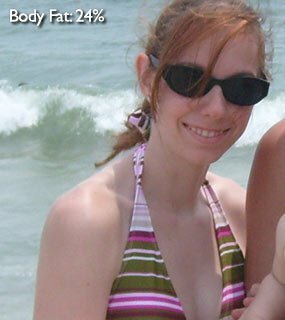 After I had my son, I dropped the weight and then some but I was not happy with my body. I wanted a fit, muscular look, rather than a "skinny" with no muscle tone look. I started looking into competing in a competition. I attended a local show and was ready to give it a try. I started eating differently and hit the weights hard. I slowly started to see changes in my body. The results were what kept me motivated. I haven't looked back since! I love the feeling of being strong. I started my journey to the stage in January 2009. I enlisted the help of a trainer in my area. After working with her for a few months, we were not on the same page. I then met another competitor and she and her husband taught posing classes. She helped me out with my nutrition and posing starting in June of 2009. I did my own workouts by researching and chatting with other fellow competitors. In October 2009 I competed in my first two figure shows. I was just happy to attempt the stage. Now I want to compete again and obtain my pro card. On non-workout days I decrease the carbs and add in some more veggies. This changes each week but I mostly do these. I do these as a circuit. I will go through it 3 times. I do 10 fast paced sprints on the treadmill to start. Stay focused. Do not focus on the scale as much as how your clothes fit you. I weigh more now than I did before but my body fat has dropped and my clothes fit better. Surround yourself with positive people because those are the people who will help you the most. Do not ever give up!